If you like a feel of allure and glamour in your home, then the great area to induce it is in the bedroom. Desirable bedrooms come in numerous ways which reflect your nature. 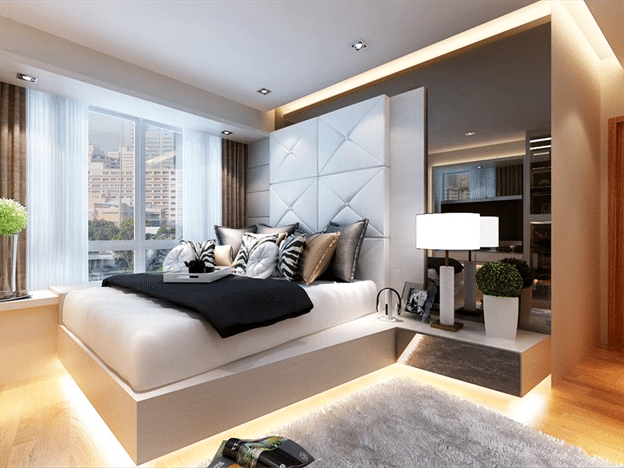 Incorporate your bedroom with allure and luxurious elements as shown in the above picture designed by The Interior Place. The black silk style bedding with a glamorous headboard and perfectly luminous lighting makes this space charming. 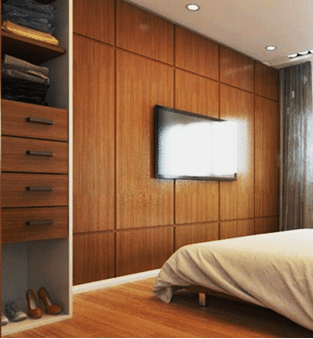 The appealing mirror wall with TV and open mirror wardrobe adds appeal to this area. This charming bedroom looks appealing due to the wooden flooring features, the gray long charming headboard makes this neutral color bedroom luxurious and lavish designed by AI Concept Interior Design. This minimally decorated bedroom looks glamorous with charming wood accents, the wooden wall, flooring and bedding style add a rustic charm to this simply designed bedroom with ideal storage capacity. Consider this neutral color scheme bedroom for your home, the white padded headboard gives this room a great focal point with allure gray rug. The attached mirror style side table with lovely lamps give a bright feel to this area designed by Matrix Interior Pte Ltd. 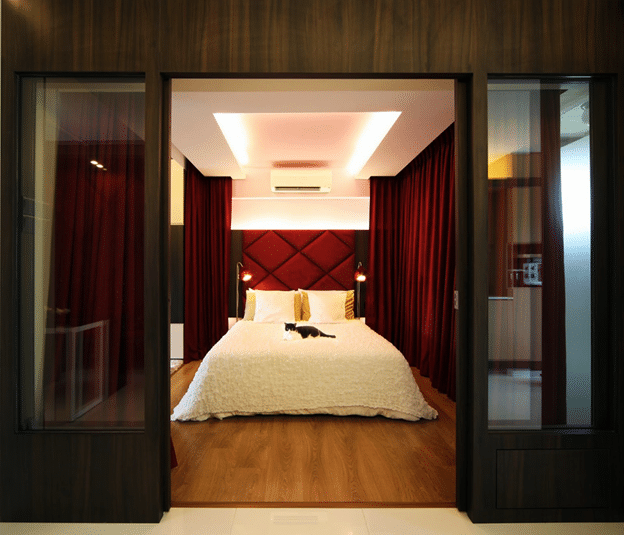 The attractive maroon and white colors of this room give it a perfect look, the wood flooring with charmingly appealing silk padded headboard and maroon curtains give this bedroom designed by DistinctIdentity Pte Ltd glamorous appearance.